Philippine Atmospheric Geophysical and Astronomical Services Administration (PAGASA) said, "Tropical Storm "BUTCHOY" has slightly intensified as it continues to move in a West Northwest direction. " PAGASA 5:00 a.m., weather bulletin posted, "At 4:00 a.m. today, Tropical Storm "BUTCHOY" was estimated based on satellite and surface data at 620 km east southeast of Guiuan, Eastern Samar (10.3°N, 132.0°E) with maximum sustained winds of 100 kph near the center and gustiness of up to 130 kph. It is forecast to move west northwest at 15 kph. 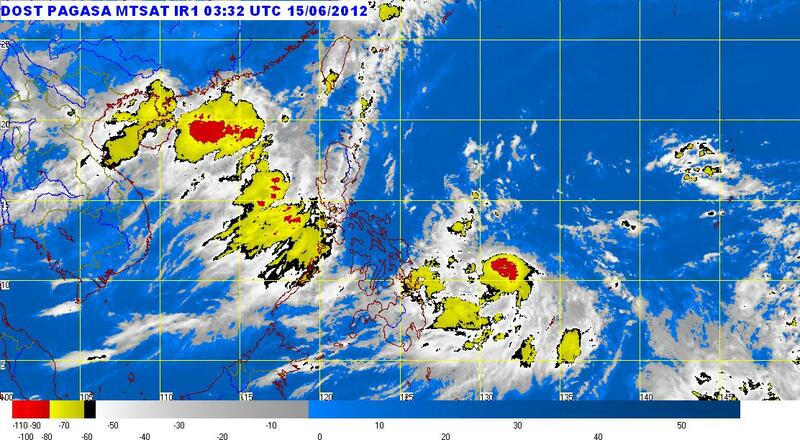 Southwest monsoon affecting Luzon. " Tropical Storm Butchoy may intensify into Typhoon within 24 hours. PAGASA forecaster Gener Quitlong said on dzBB radio, "Medyo lumakas ito ... Kaunti na lang magiging typhoon ito. Baka in less than 24 hours maging typhoon na ito." Meanwhile, PAGASA said, "Fishing boats and other small seacrafts are advised not to venture out into the sea while larger sea vessels are alerted against big waves." Comments or suggestions about "PAGASA: Tropical Storm Butchoy Update" is important to us, you may share it by using the comment box below.